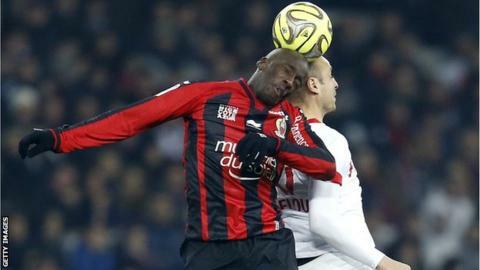 Nice defender Souleymane Diawara has been arrested and is in custody for violent conduct. The former Charlton and Senegal player has been held since Thursday because he "tried to exercise justice himself" after being the victim of a scam. Diawara, now 36, won the French league title with Bordeaux in 2008-09 and joined Nice from Marseille last year. He also won 48 caps for Senegal and was part of the Addicks squad relegated from the Premier League in 2006-07. Diawara started his professional career at Le Havre in 1998 and his career has also included a stint at Sochaux.